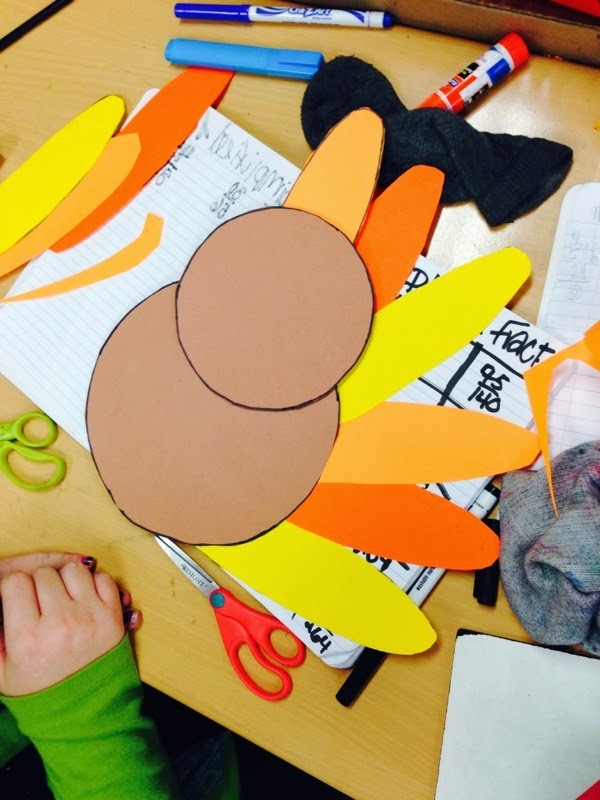 It's the time of year when all of us are thinking...what can I make for my students? My mom gave me a jar full of positive quotes and funny sayings a long time ago, and I loved it so much! It had enough little slips of paper in it to last the whole year! You pull out one per day and read it...making you feel like your mom is close to you even if you are far away! I decided that I would give the students little jars of our funny things we say in class, or positive quotes/sayings I want them to read so that they continue to feel great about themselves. Buying 22 of these already created would be so expensive...so why not just make it myself!? 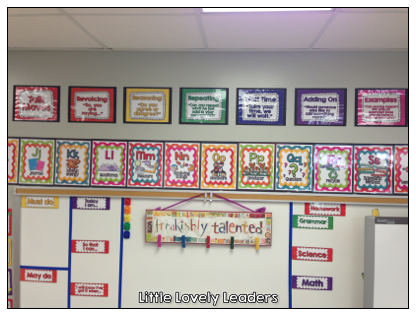 I created a sheet of 26 different sayings/quotes for the students. I created different pages for girls and boys. I printed them on colored sheets of cardstock, cut them up into little slips, folded them, and placed them in the jars! Haha...got my toes in the picture! Oops! I cut the little chalkboard stickers (also purchased at Hobby Lobby...right by the jars!) to fit the jar and wrote each of their names on the jar with chalk. The kids were actually WAY more interested in it than I even hoped! This gift was turned out super cute (I think!) and what was great was how the fifth graders really understood the meaning and love that was behind it! I am so glad I made these for them! Something else great that came out of it...one of my students said that they are going to go home and make something like it to tell his mom all of the reasons why he loves her for Christmas! SO PRECIOUS! Heart melting. Happy Holidays everyone! Wow...almost 2014 !!! What?!!? First of all...I SOO greatly apologize for being M I A for over a month! Wow! I guess that just explains how crazy this beginning of the school year has been for me! My class is AMAZING...it is my traveling that is taking over my life! Even though it is exhausting, I LOVE every minute it! Anyway, travels aside, we have been working reaaaallyyy hard in school! Ecosystems has been our Science unit this quarter, and we are about to rap it up this week! We just completed our brochure projects. I have done this project for a few years now, and I love it more each year! The kids get soooo involved with their ecosystem, and they do such a great job! Students get to choose their own ecosystem to research! Deep Ocean was the popular one this year! I try not to let too many in each class choose the same ecosystem. I booked the computer lab for the first 2 days of our research. 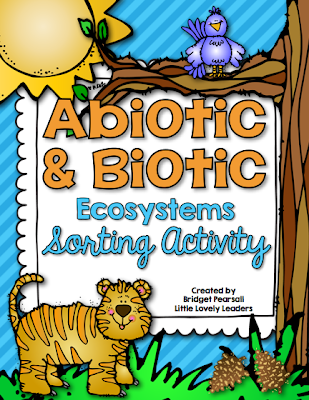 During these two days, I was able to ask our amazinggg librarian to gather ecosystem-related books for our class to use once we are done researching on the computer. She had a cart ready for us to keep in our classroom! Wow! I need to thank her again! When the students have completed their research (about 4 or 5 class times), they will then move on to a rough draft copy of their project. This is what we like to call our "pretend brochure". The students organize their information into paragraphs or bullets, their choice, and put it into the graphic organizer. They will even sketch a rough draft illustration on each flap of the brochure. They do not have to color it, but they need to have their idea on the page. I conference with each students. Checking spelling and sentence formation. We also talk about our information so that I can make sure they are understanding what they are writing, and not just copying from their sources. You would be surprised at the college-level research they can find when researching ecosystems! As their Science and Math teacher, this is a great time for me to be able to monitor their writing skills, as well. I love the captions on the covers! It grabs my attention and makes me want to read their brochure! This student drew her pictures in lightly, behind her writing! She was a very verbose writer and couldn't help including all of her favorite information and research! I think she came up with a really cool way to write more and still have a drawing! I will be uploading this project very soon! Keep checking Facebook for updates! 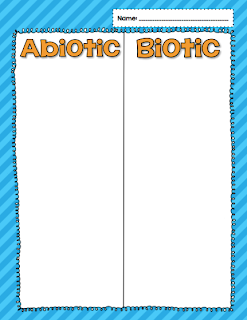 I want to get some photos of my final bulletin display of the brochures before I finalize the pack! Off to an Awesome Start! This year has started with reviewing multiplication and place value! We started reviewing place value this week and it has been so much fun so far! I hid all of these little guys around my classroom yesterday! They give the students their clues so that they can 'build a number' on their record sheet. The students had a lot of fun walking around to find the clues! They did a great job with their work! I was super impressed at how quiet they stayed while they walked around, so I promised them many more activities like this! I will share them as I create them, for sure! We started the week off by reviewing word form, standard form, and expanded form. The kids were already pretty great at these! Here is one center we completed in class! 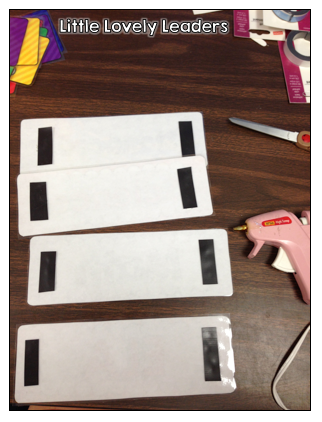 The students cut out various rectangles that had the numbers written in one of the three forms. They glued it in the correct column, and then wrote the number in the two other forms. This student did a great job! Before posting this picture, I realized the word "thousand" was not written on the last one, so I went ahead and pointed it out before y'all noticed!! ;) haha! Today, we talked about comparing decimal numbers. We then ordered them from least to greatest, and greatest to least! This was really fun! I did this activity last year, and some of you may remember my post about it! I loved it so much then, so I did it again today! 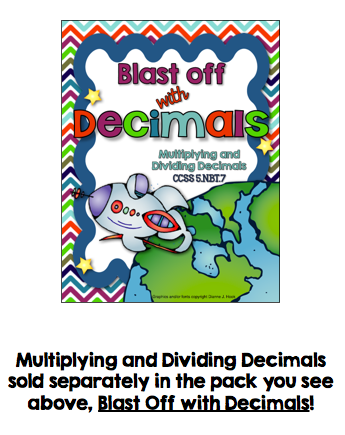 A pair of students starts off with one sheet of decimals. They cut them up and organize them in order from least to greatest. 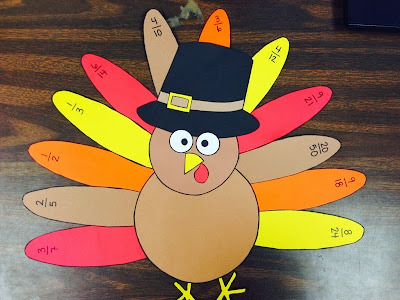 Every 6 students (3 pairs) has a different color paper, with different decimal numbers. Today, the colors were yellow, orange, and pink! Once the pairs of students had their numbers in order, they got with their group of 6 to organize ALL of their numbers into one, large sequence (from least to greatest still). We glued them all together when we were finished! They had a lot of fun working together, and I was able to find those kids that are great team leaders! We talked a lot about Habit 6: Synergize! On the Science side of things...our Ecosystems are growing!! Yay plants! Whatever it is called when you don't have a "green thumb"...maybe a "black thumb"....I have that! So, you probably know that I am super relieved to see greenery in these ecosystems! Good job, kids! I give them all of the credit! Oh, WOW! I have two CRAZY FUN things to tell you all! Some of you may already know that I am teaching science, in addition to math, again this year! (I was only math last year due to the amount of teachers in our grade level, and now I am back to BOTH math and science!) I am SOOO excited to have science again! I am such a science freak! So... you know what this means? 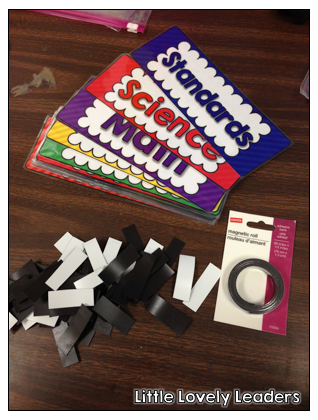 I will be making more science activities and packs! I am jumping out of my seat just thinking about it! To start off the year, and the addition of this new subject to my store, I made a freebie! 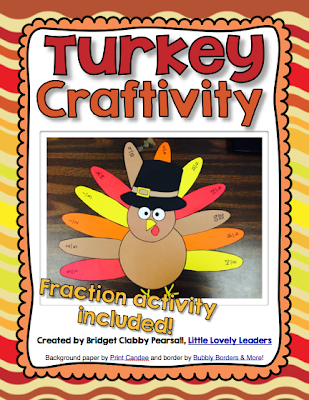 Click HERE or on any of the images to download your FREE COPY of this activity! I have reached a HUGE milestone! 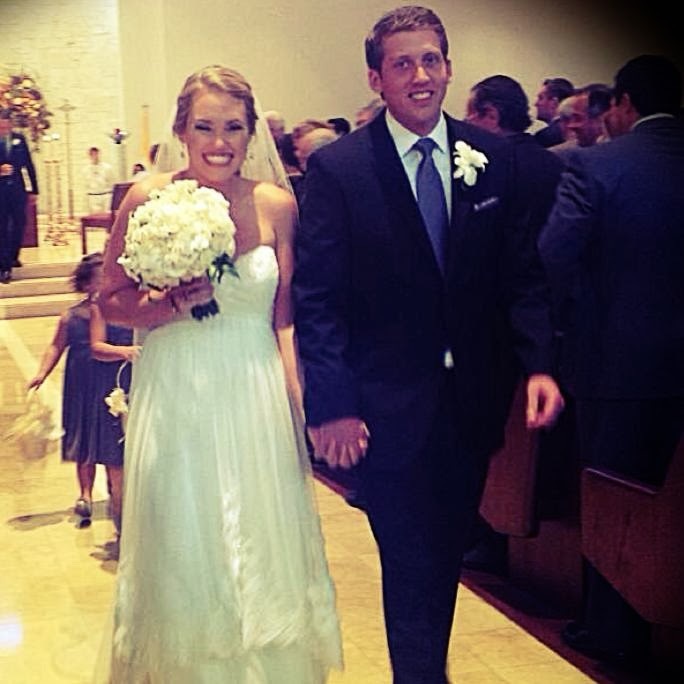 I am smiling from ear to ear thanks to all of you! I have MADE IT to 3,000 followers!! I cannot believe it! I am so thrilled! Thank you to ALL of you who follow me on TpT, Facebook, or my blog! You all are the best! I appreciate each and every one of you! Enter below! 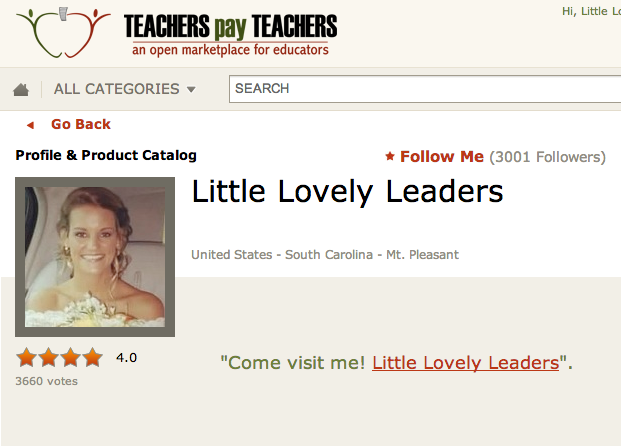 The winner will receive ANY three (for "three" thousand) items from my store! 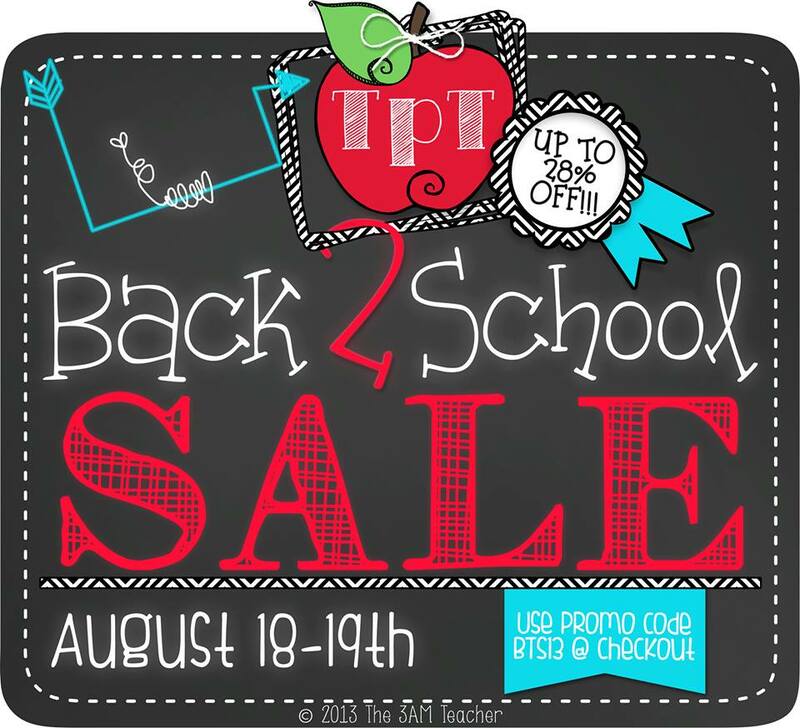 With Summer ending and the new school year beginning, it is time....for the annual Teachers Pay Teachers Back to School SALE! 28% off in my ENTIRE store on August 18th and 19th! Yay! Just find what you want to buy and enter the code BTS13 when you check out! Oh my goodness! I have been going into my classroom each day for the past 2 weeks and I am pretty much FINISHED! Yay! Of course, there are a few things here and there that still need to get printed, cut, laminated...and cut again! I am ready to share my rainbow room with everyone! I hope you all like it! 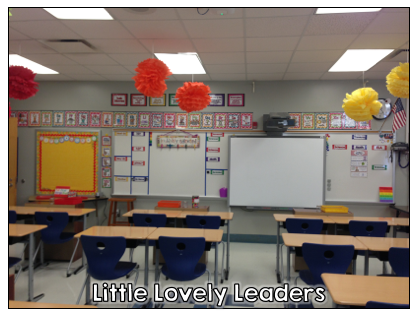 Leave your blog post about your classroom reveal in the comments so that we can check out your blog, too! Soon this door will be filled with photos of my students! This is the view from the very back of the room. You can see how all of the desks face forward from here. I love these desks! We got them last year and they are just the best! :) We have less students in our class this year than we had last year, so looking at this makes me feel like there is so much more room in my classroom! I will actually be able to walk in between all of the desks this year! ;) haha! 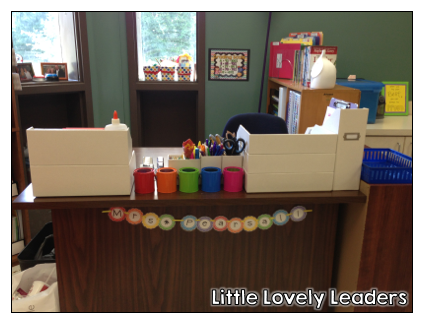 My small group table and the students' cubbies. We don't use the backpack hooks because the students switch classes and take their backpacks with them to each class. Behind my seat at the back table are two bookshelves where I keep leveled readers, calculators, and other supplies for my small groups. I made my dry erase markers into flowers, which you can see on the middle of the table. This way, the students know not to 'walk away' with my small group markers! This really worked last year, so I made new ones for this year! The "achieve" sign above the cubbies is one I painted 2 years ago, and it still looks nice! I am so happy it held up! The blue, yellow, and red boxes to the left of that sign will soon hold all of my math games. The banner above the cubbies says "We Love (heart) Fifth Grade" and can be found in my store for all grades Kindergarten through Fifth. I also sell an "A to Z" banner so that if you want other banners in your room to match this one, you can create any banner you'd like with that one! The white board! This is my favorite thing right now in my room! I don't really use the white board for solving math problems or anything, because we have a Smart Board, so I use it for other things for the students. On the left, I have "Must Do", "May Do", and "Weather". I fill out the top two sections with the things we need to get done today, and the things that the students may do if they finish their work. The students take care of filling out the weather section for me! 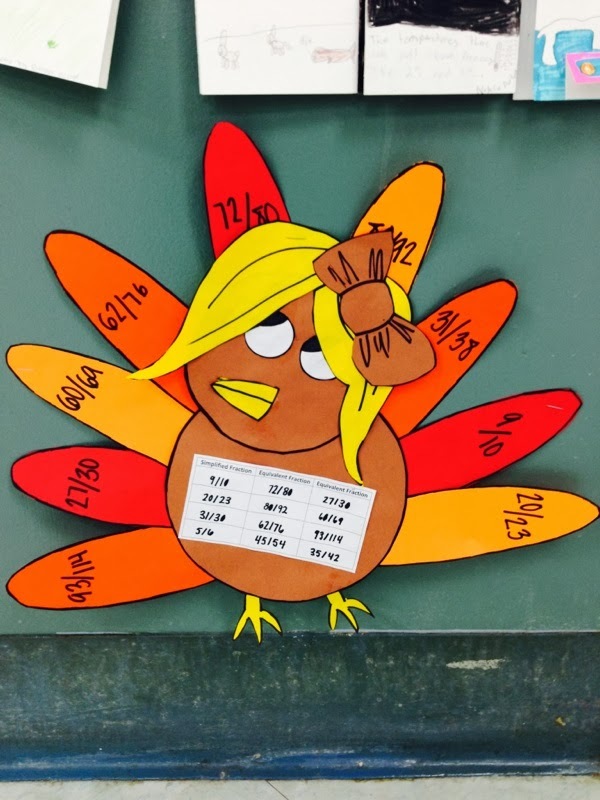 Meteorologist is one of my class jobs, and that student fills out the weather for the day each morning. Next to that column, I have a new section of my board: "Today I am...", "So that I can...", "I'll know I've got it when...", and a spot for work with no name. I will blog later this year about how I use this column! It is an idea I found on Pinterest and I am hoping I will love it as much as I think I will...I will keep you posted! To the right is my section for homework and reminders for the students. 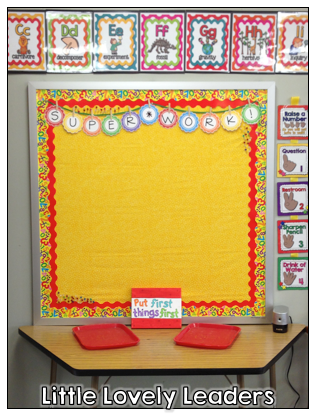 They will look at this section when they first come in the classroom and write their homework! :) I spent a lot of time turning these labels into magnets so that I can move them around if I need to, or pick them up when I want to clean my white board! Keep reading to see how I made these into magnets, and how I store all of these to keep them organized! Above the board is my Science Alphabet (click here). 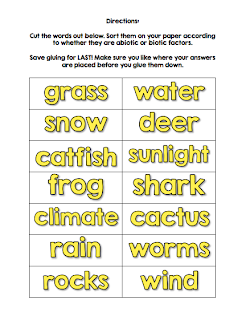 This document is over 140 pages long, so each teacher can choose which Science words are suitable for their class! I hope I thought of enough vocabulary words for all teachers! What is fun is that many teachers in the same school can have this same alphabet, but theirs will all be 'different' because they will probably choose different words to display depending on the grade they teach! I have a set of Math posters, with this same general idea, for free at my store. Above the alphabet is where I put my "meaningful discussions" posters, or "talk moves" (click here). I display the students' work on this bright bulletin board (alliteration!) throughout the year! They LOVE to come in the door and look to see if their work has been displayed! I had this same board up last year! I love when something works and it can stay the same year after year! You can find these letters I used for the top of the board here. The two red trays are where the students turn in their work for me to collect. One is my homeroom and the other is my team teachers' homeroom! I actually had these trays given to me by Arby's my first year of teaching! I use others trays I have for Science experiments! It was so nice of them to donate them to my classroom. 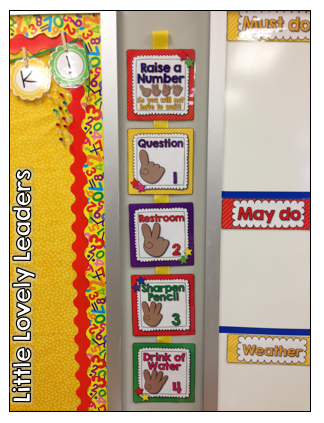 One of my favorite classroom management tools in the classroom is the "Raise a Number" chart! The students raise their hand with these numbers if it applies to them. 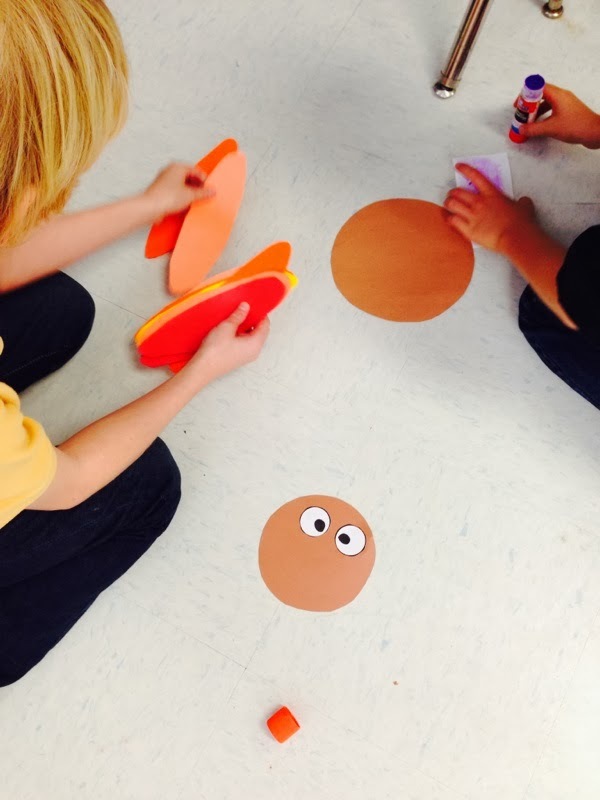 I love this because I can be busy doing something with a small group or with an individual and spot a student holding up a #2 - it is so great to just give them "the nod" (teachers - you know the head shake I am talking about) to let them know whether or not they can leave the room at that time. This has worked great in my room for 3 years, and I created a new, prettier looking display for this year! Find it by clicking here. The reading corner takes up a good amount of the size of my classroom. Mainly because I found this amazingggg 7x12 rug for such a great deal this summer! I love it because when we play math games, different teams of students can sit in there for their games, too! 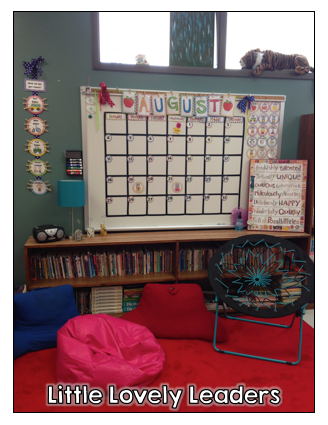 The students just love to read while sitting in those funky chairs, so I got another one and added it to the corner (they are from Target). This is the same calendar I had set up last year and I love it! 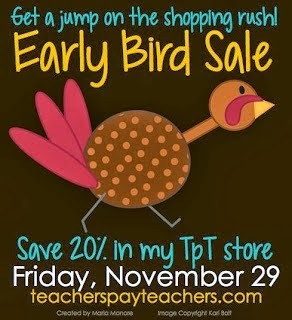 Find it at my TpT store, here! I used electrical tape on the white board to section off the squares, and all of the pieces are magnetic (thanks to my hot glue gun!) so it is super easy to change the dates! The students do it for me! 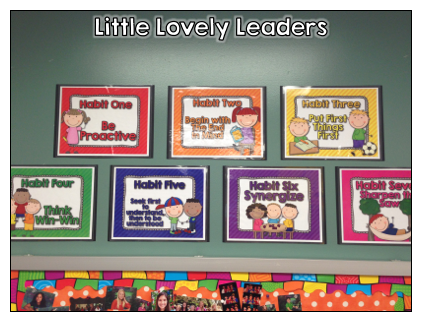 Seven Habits Posters! These are purely for display in my room so that the students can reference them any time they need to a reminder of their habits! 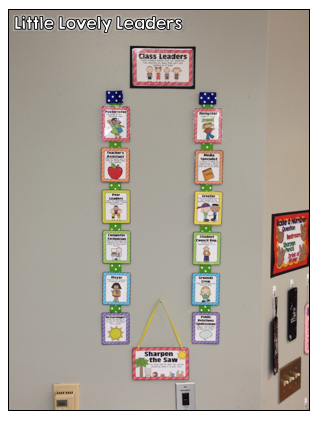 We use the Seven Habits at our school, because we are a "Leader in Me" school! I love how they allow the students to take more responsibility for their actions and causes them to think before they act. The habits have been a great addition to the classroom and I think they would work in any room, even if your school is not a Leader in Me school! "How We Get Home" chart! 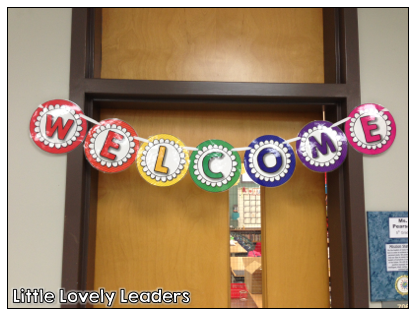 I created this one for my class, but Kindergarten Smiles has a beautiful one for the classroom on her TpT store! I really want to update and buy hers! If you need one of these, check hers out! She has one in a brights theme and one in a rainbow theme! Obviiiii, I want the rainbow one! 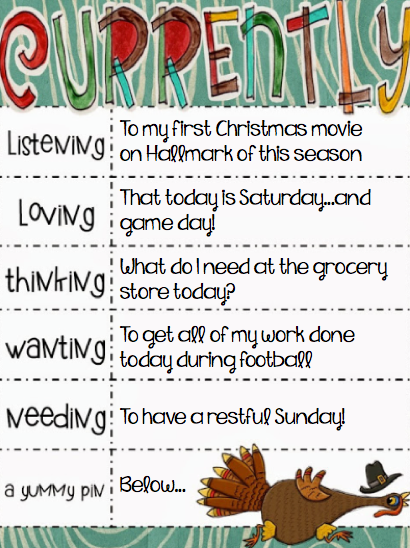 I like these because the students can tell me if they are getting home differently one day, and we can just move their clip! I have it in a location where they can just move their clip themselves! I blogged about this last year, but I just loooove it so I feel like I have to tell you all about it again! If you haven't yet noticed...I just die if I am not organized! 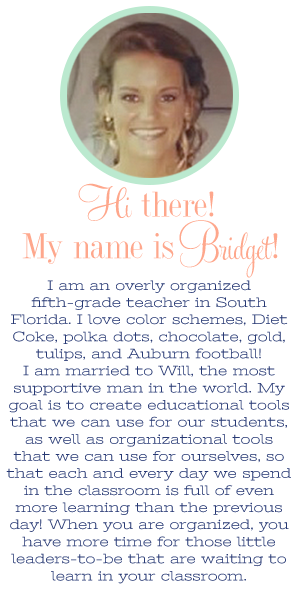 Well, I force my students to be just as organized as me...My husband says I am creating monsters! Each group (labeled by colors; below you see green group) has their own bookshelf. The bookshelf as color coordinated items on it, so that we know whose are whose. The tray on the very top is for me when I am handing out papers. A lot of the time I had out the materials for the day in the morning, and I put it all in these trays. It waits there until we need it, so it doesn't clutter anyone's desk area...or my desk area! The caddy is where the dry erase markers and socks (used as eraser) go, and the little white boards are underneath. The green cup next to that holds things like glue and scissors. Each group has their own quote that goes with our leadership theme at our school. The little clothespin you can see is holding our "Team Leader" pin. The team leader of the group gets to pin that to their sleeve during group work. 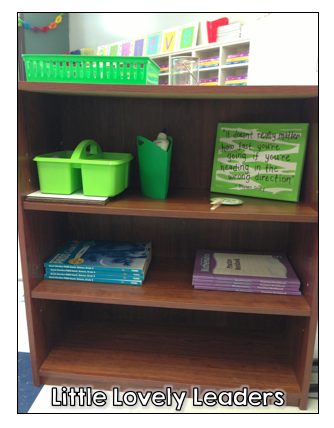 The rest of the shelf will hold paper and text books! I love love love having these shelves! 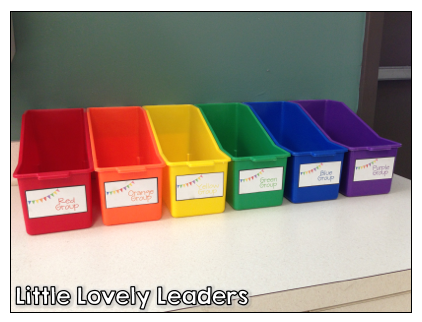 I also hold the kids responsible for keeping their group shelf organized and neat. Each shelf has a little empty cup on the top. I have the big cup of pom-poms. 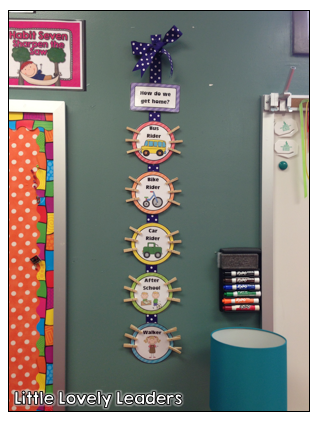 During each day, the students have chances to earn these pom-poms as a group. On Friday, the group with the most pom-poms earns a prize! :) Usually something from my treasure box...sometimes bonus points on an upcoming project! 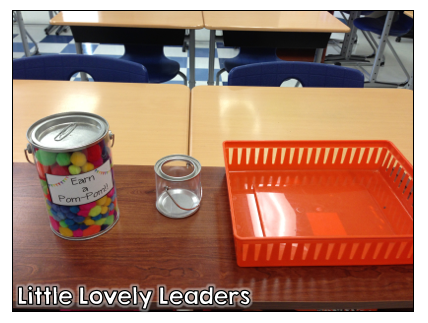 Students keep their morning work folders in these buckets by group. It helps in the morning that the students can just go grab their folder. When they are finished, the put their folder back and I have easy access to them if I need to check up on their morning work! Alright, so I am rewinding a bit! Back to the labels on the board! I turned them into magnets with this roll of magnetic adhesive. I did not trust the adhesive, so I hot glued them on, anyway! I just cut little pieces so that I did not waste the magnetic roll, but also had enough on there for it to stick to the board! Here is what they look like from the back, once I have hot glued the magnet on them! 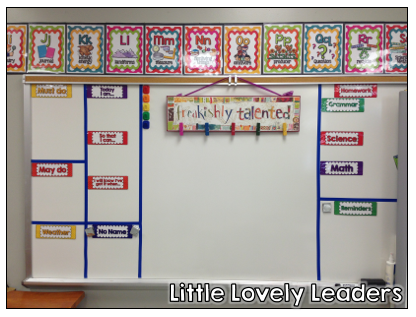 I used the same idea on my standards side of the board. This is the side of the board to the right of my Smart Board. I keep all of my standards here. At the point of taking the photo, I had only finished making my math standards! I have some more work to do still! 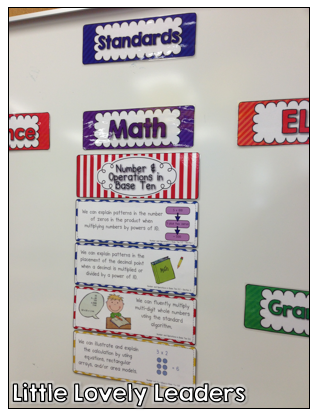 I have all of the standards laminated, cut, and turned into magnets so that they are ready for the school year! Below you can see how I have organized these standards on my bookshelf by my desk! 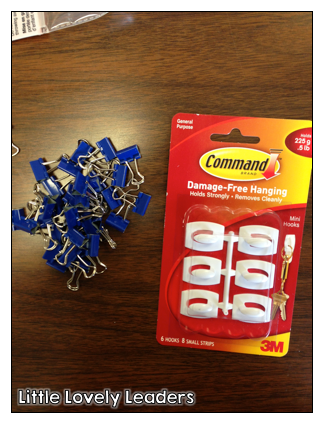 I used a sticky wall clip and a binder clip! So easy! I don't know why I did not think of this sooner! I would organize everything like this! You can see which standards are in each clip by seeing the title on the front, and all of the standards are behind them. I took off the front label on the fourth clip from the top so you can see that the standards are hanging behind their title. 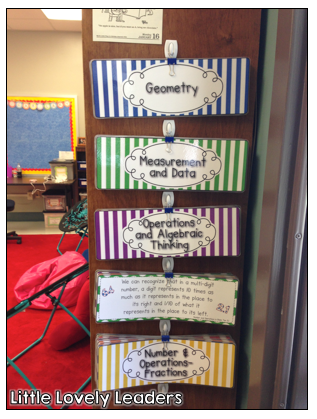 I am super excited about this new organization technique in my classroom! Ah! Yay! My desk area! I bought all new desk supplies this year at Staples - the Martha Stewart Collection! I love the white! 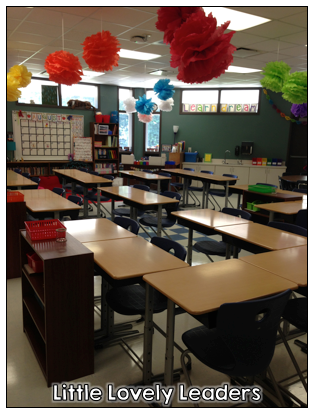 My excuse to my husband and myself: "My classroom is rainbow themed, so my desk is like the cloud! I need the white!" Ha! How did I convince myself that this was necessary!? Well..it looks great and makes me happy!! I feel so organized! I only ever sit at my desk during planning and after school, and I will definitely enjoy it this year! Eeeeks! 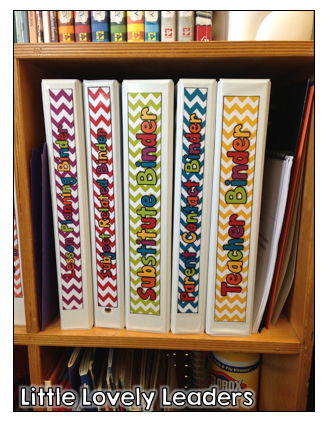 As you all probably know, my favorite things everrrrr are binders! My new collection this year makes me so happy! Rainbow and chevron...best combination! You can check it out here! I made these last year for my room moms and my team teachers. 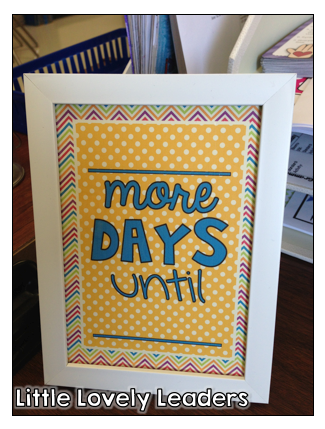 I can't wait to let my students count down to different exciting activities or events this year with this countdown! FREE if you click here! How many days do you have left until school starts! I have ELEVEN! 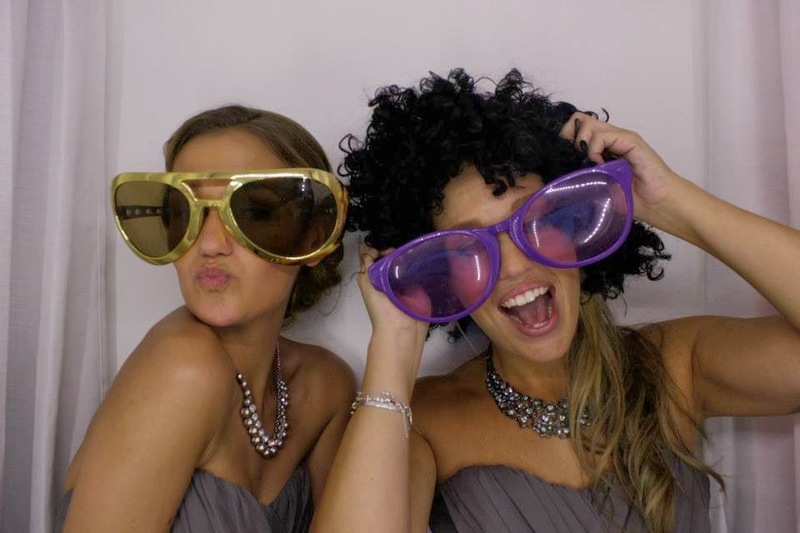 I hope I didn't share TOO many pictures! Ah! 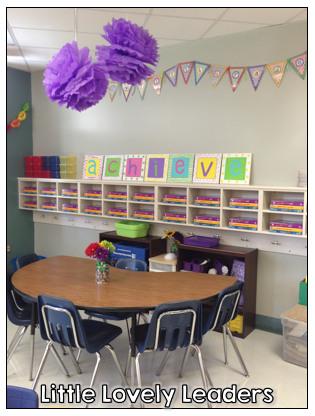 I am just so excited about being done with setting up the classroom! 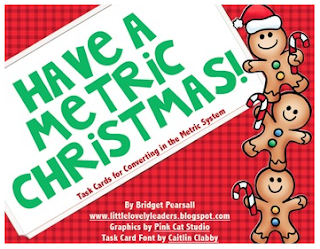 I hope you all like it and were able to use some of my freebies for your own classroom! 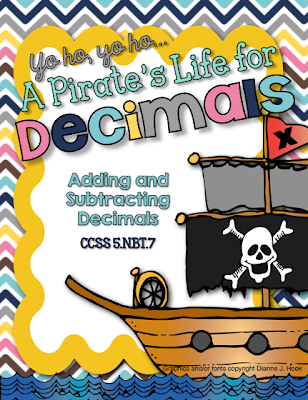 :) If you have set up your classroom and blogged about it, leave your link in my comments to share with everyone so we can check out your classroom! ...and because I "MADE" so many of these things for my classroom, I am linking up with Fourth Grade Frolics for Monday Made It! 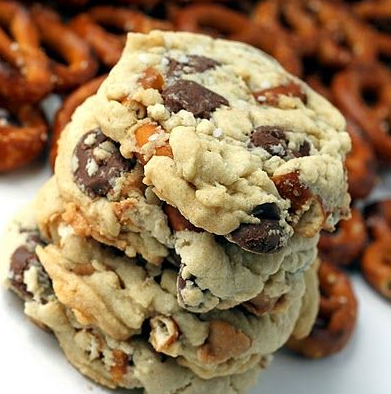 Click the image below to check out what others have made this Monday!